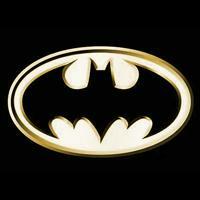 Batman is a superhero created by Bob Kane and Bill Finger in the year 1939. His secret identity is Bruce Wayne, a multimillionaire and a philanthropist that through intense physical and mental training fights crime in Gotham City. Unlike other superheroes, Wayne does not possess superpowers; instead he uses his intelligence along with the latest technologies to fight villains. Batman jumped to the big screens in 1966 but...Which is the best Batman film? Don't hesitate and participate in this ranking by sharing your opinion.